No matter where you live, you can return to Carolina every day with your GAA wall calendar. Share your Tar Heel pride with family, friends or co-workers. Don’t miss this year’s member calendar featuring our favorite campus scenes. 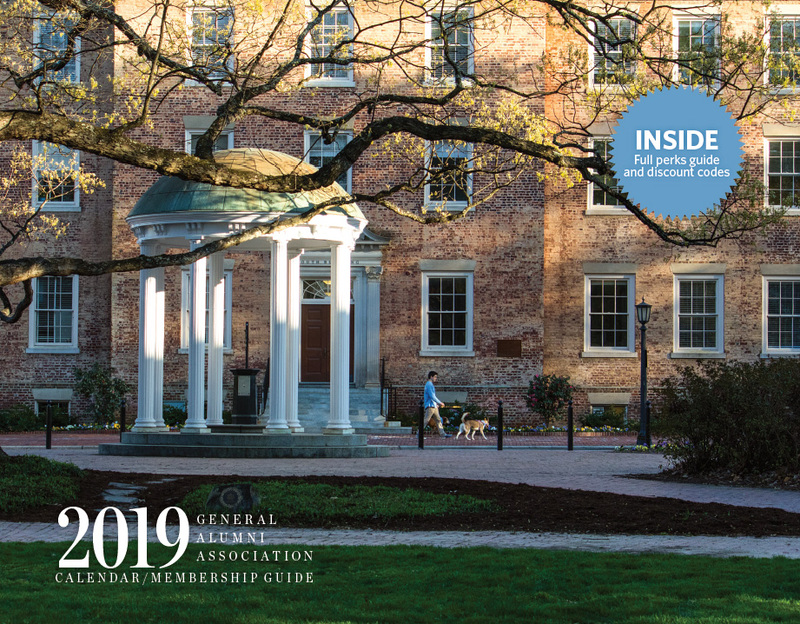 GAA members receive the calendar each year with their November/ December issue of the award-winning Carolina Alumni Review. Members may purchase additional copies of the calendar online in the Alumni Store for $15/each while supplies last. Not a member? Join the GAA family today and among the many perks we’ll send your way is a complimentary copy of this keepsake calendar and a subscription to the Carolina Alumni Review. Together we’ll serve Carolina and our students — past, present and future.